A kidney infection is a specific type of urinary tract infection that occurs when bacteria infiltrate the urethra and bladder and then move into the kidneys. It is a serious health condition requiring prompt medical treatment. If left untreated, the kidneys could become damaged and the bacteria could spread through the bloodstream to other areas of the body. Proper treatment includes antibiotic therapy and often hospitalization. The most common signs of a kidney infection include fever, abdominal pain, frequent and painful urination, hematuria, a persistent urge to urinate and back pain. While it is important to seek medical attention, eating a healthy diet and emphasizing specific foods can help ease your symptoms, speed your recovery and prevent future infections. Cranberries, raspberries, blueberries, strawberries, loganberries and even gogi berries have protective properties against urinary tract infections.Berries contain proanthocyanidins antioxidants that prevent bacteria, especially E. coli, from attaching to the cells of the urinary tract, thereby inhibiting infection. For the treatment and prevention of kidney infections, it is recommended that you consume a 1/2 cup serving of fresh blueberries, raspberries or strawberries and a 1/2 cup portion of dried cranberries or cranberry juice without added sugatr. Berries are generally rich in vitamins, minerals, dietary fiber and phytonutrients. They also help protect the body from heart disease and cancer. Dark, leafy green vegetables are packed with antioxidants that boost your body’s immune system. Antioxidants defend the body against free radicals, or unbalanced atoms known to cause cellular damage. Antioxidants break up and neutralize free radicals before they can cause damage. Examples of leafy greens include asparagus, cabbage, kale, spinach, broccoli, watercress and lettuce. These vegetables are rich in nutrients such as vitamin A, C, E and K, folate, calcium, iron, beta-carotene and dietary fiber. For maximum nutrition immune boosting power and kidney infection prevention, it is best to eat these vegetables raw. It is important to eat a variety of fruits and vegetables when you have a kidney infection. They contain important vitamins, minerals and antioxidants that help detoxify your body and keep you healthy. Their fiber content helps clear the body of unwanted substances and promotes regularity. Cucumbers, celery, red bell peppers, cauliflower, garlic, onions, tomatoes and legumes are especially important as they have a high water content, helping to flush the kidneys. Additionally, citrus fruits, apples, cherries, red grapes and pomegranate aid the body in reducing inflammation. Aim to eat at least three to five servings of fruits and vegetables per day while you have a kidney infection. Essential fatty acids have disease-fighting and anti-inflammatory properties, helping to prevent and treat kidney infections. In addition, fatty acids promote healthy brain function, lower cholesterol and prevent heart disease. Cold-water fish such as mackerel, herring, trout, salmon and tuna; olive and other vegetable oils and nuts are a good source of the essential fatty acid omega-3. It is recommended to eat two to three servings of fish per week and 1/4 cup of walnuts, almonds, pecans, chestnuts and peanuts. Avoid dry-roasted, salty or honey-roasted nuts, which are full of unhealthy sugar and salt. It is very important to drink plenty of fluids and stay hydrated to help flush bacteria from the urinary tract. Drink six to eight glasses of fluid per day during an infection. 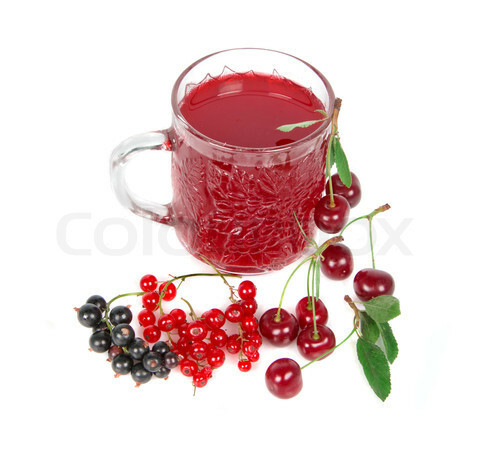 Choose water, herbal tea, caffeine-free soft drinks and 100 percent fruit juices such as cranberry juice. Avoid coffee, alcoholic beverages and stimulants until your infection has resolved because they products can aggravate the frequency and urgency of urination. Hi, i believe that i saw you visited my blog so i came to go back the favor? Coffee isn't good for the kidneys.